The great thing about Cape Cod lodging is that you can take your pick of numerous types of accommodations. You may want to rough it by enjoying a cozy campfire and retiring to a tent at night, or your tastes might be more refined. With the economy the way it is right now, many people are actually re-thinking their old forgotten camping pastime. If you want to check of this option, be sure to visit the Cape Cod Camping page. Over the years, I have stayed on many parts of Cape Cod. Sometimes it was a week or 2 in one location, other times, we would stay in Falmouth or Hyannis overnight to catch the early ferry over to Martha's Vineyard. Where you decide to stay really depends on your plans and what you want to do while on your Cape Cod vacation. I have stayed at many horrible places over the years and it's only through this trial and error that I can recommend some great places to stay. For the most part, I prefer to stay the bulk of my holiday around the National Seashore, as I love the waves and rugged beaches. This means my Cape Cod lodging choices would include accommodations in Orleans, Eastham and Wellfleet. Staying on this part of the Cape is also advantageous because in Orleans, you have your groceries, package stores and a good selection of restaurants. If you are the more out-going type and like to party while on vacation, Provincetown might be better suited to your tastes. This gay mecca attracts a lot of straight visitors as well who love this artsy, quirky little party town. Since Provincetown has so many choices of lodging, you can choose to stay in a bed and breakfast or in a hotel if you prefer. The restaurants are fantastic (and numerous) so there are enough to last you a couple of weeks. If you want a quiet, up-scale Cape Cod lodging, you may choose to stay in a first-class hotel. There are plenty of those as well. Want to stay in your very own cabin or cottage? This is an excellent option that I frequently choose. If you have the money (or another family to defray some cost), you might want to consider renting a house for your Cape Cod vacation. This is an expensive proposition but there are a lot of people who do this. Generally speaking, Cape Cod motels are your best bet for the budget traveler or if you have several kids in tow. They usually give you the most bang for your buck and many cater to kids with pools, playgrounds and special kids rates. For more info (and my recommended picks), visit the Cape Cod Motels page. Want to step up from the motel scene but don't want to break the bank? Maybe a Cape Cod hotel would be ideal. There are a few brand name hotels around the Cape but most are not so well known. Most have either free continental breakfasts or at least meal packages as well. To see my recommended locations, visit the Cape Cod Hotels page. Perhaps one of the best types of Cape Cod lodging choices, are cottages. You can have a nice cozy little cottage that is sized for only two people, or you can also rent larger, more spacious cottages that can accommodate kids or friends that tag along. On our Cape Cod vacations, we have gone this route several times, on many different areas of the Cape. I think it is more comfortable than a motel or hotel room and you have more freedom to cook meals or BBQ if you prefer. 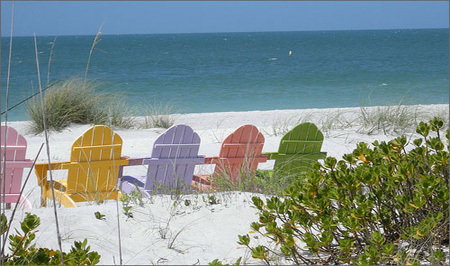 Visit the Cape Cod Cottage Rentals page for more great info on this Cape Cod lodging option. Oh, and another thing, if you are traveling with your pet, make sure you visit the Pet Friendly Lodging page.